As a Basset Hound enthusiast I like to spend time with people that share my interest. 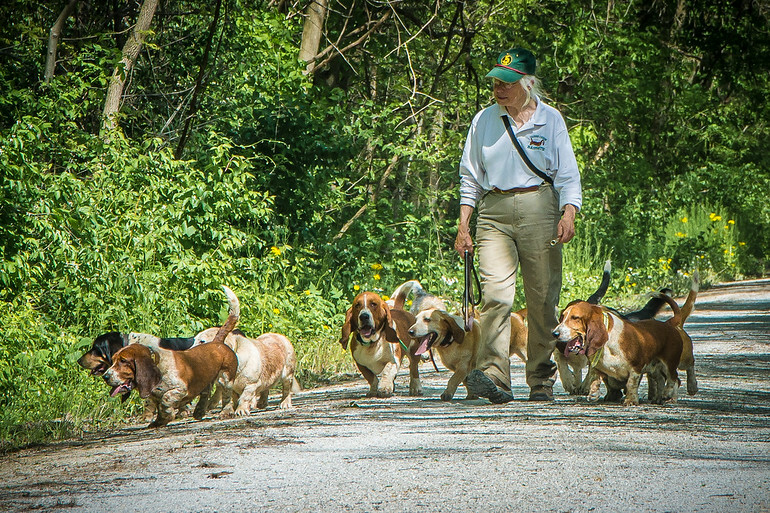 This group of hounds are bred for tracking and compete nationally, showing off their skills. My wife and I will spend a number of fall and winter Sundays watching them perform at various locations around St. Louis and St. Charles counties. They love what they do and their master (shown in this photo).